NORTHERN STAR EVOLUTION 33 YOU WANT LOTS OF SPACE? HERE IT IS!!! AU $21,750 Per Share	1/4 share Need Insurance? Description: Northern Star Evolution 33 You want lots of space? Here it is!!! 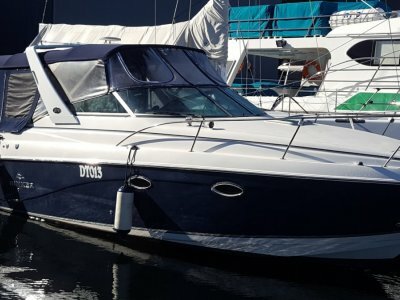 This is very well laid out boat with the result that it has more space than many sports cruisers of a similar size. 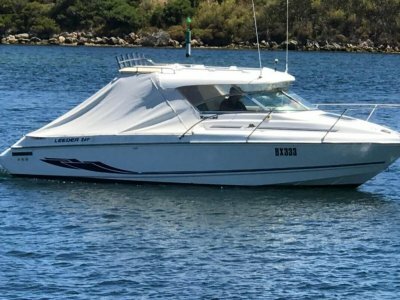 SHe is an outstanding Wa designed and built boat with impressive build quality and performance. She has comfortable accommodation for 6 adults and the Galley has a fridge, Microwave and good bench space. The inbuilt electric BBQ in the cockpit will take care of the cooking. The bathroom has a toilet with holding tank and there is a hot water system on board for the two showers. 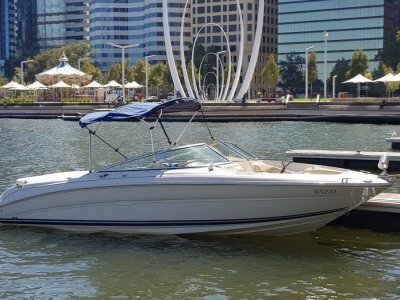 For the Skipper there are twin Mercruiser 5.0ltr V8s each offering 280hp with propulsion delivered by the stern drives. 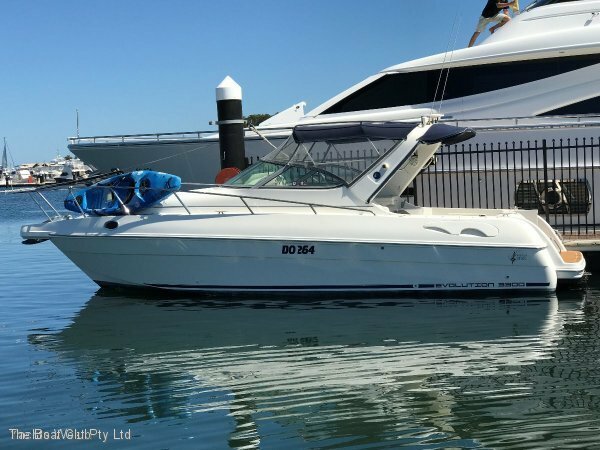 She is fitted with a Navman 600 Trackfish Plotter/Sounder/Fish Finder and anchor winch. The boat has full storm covers. She is dry stored at the Boathouse in Mews Road Fremantle so there is no antifouling etc required. There will be a total of 4 owners in this syndicate. Four owners means ample usage time for each of you - 63 weekdays and 24 weekend days per year. In addition you can have unlimited last-minute bookings [bookable after 9am on the day of use] so you can have virtually unlimited boating!! 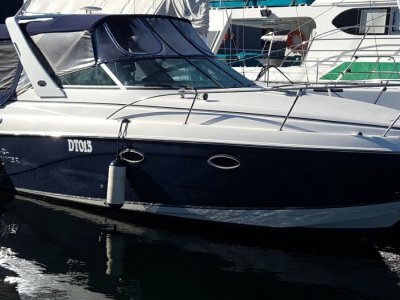 The Boat Club professionally manages the syndicate and provides ongoing support to owners to help them get the most out of their investment. There are no points to be counted, no arguments with other owners, no silly annual calendar telling you when you are allowed to use the boat. Above all there is great customer satisfaction!!! Have questions about how the share works? Call Steve any time on 0409 386 170 or on email at steve@theboatclub. Com. Au.